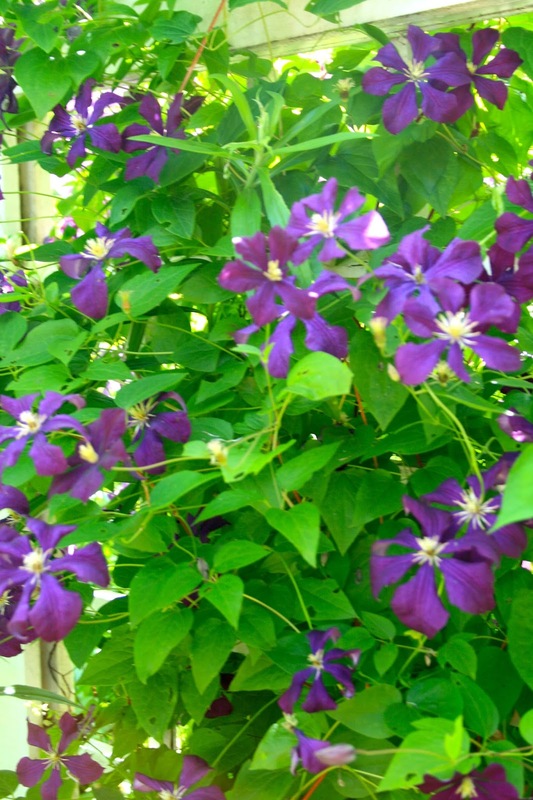 So what IS blooming in my garden this week? Well, I'm still waiting for my garden to peak, which usually starts around mid-July. Right now, there is still a lot of green, but the annuals are getting much fuller since the deer have been giving them a bit of a break. The Asiatic Lilies are in full bloom, if not already starting to fade, and the day lilies are just beginning to open up. Here is a pretty pale yellow day lily. This Evening Primrose is a pretty yellow flower that can quickly take over your garden if not watched carefully. It is perfect if you have a spot that not much else will grow there, for this plant is not fussy at all. 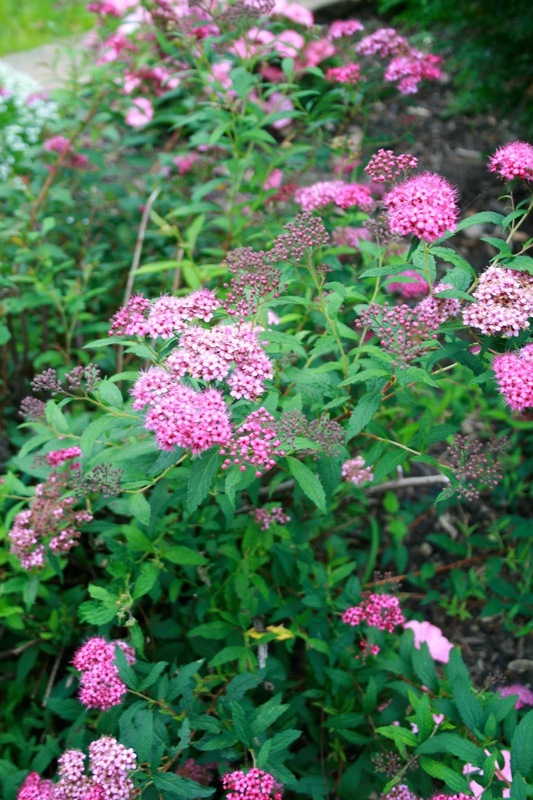 It will grow in sun or shade (though it prefers sun) and in just about any type of soil. 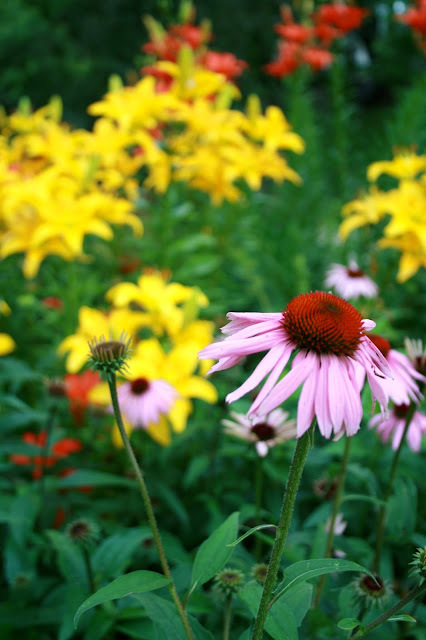 It is a very cheerful, happy flower isn't it? 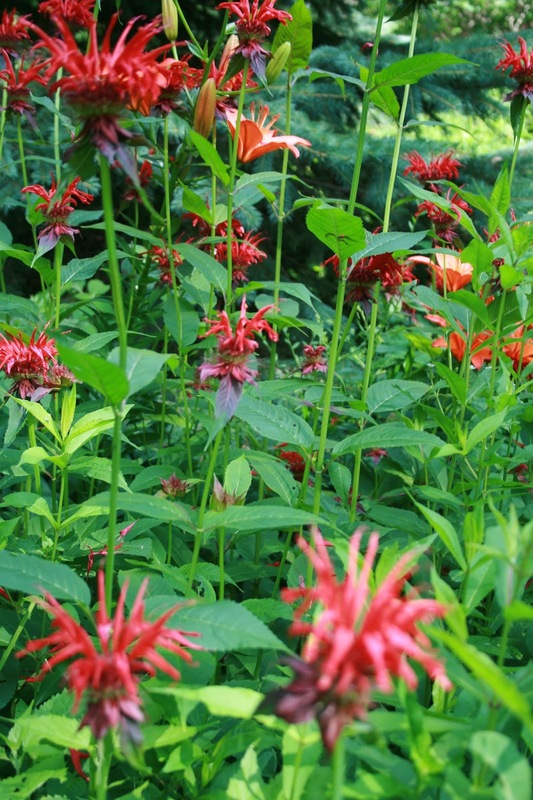 The red bee balm is growing happily in the sun. The deer ate almost all my tall phlox this year, but they managed to leave a few splatterings for me to enjoy, like this purple one. A rare peach Asiatic lily. The Asiatic lilies surrounding my pond. 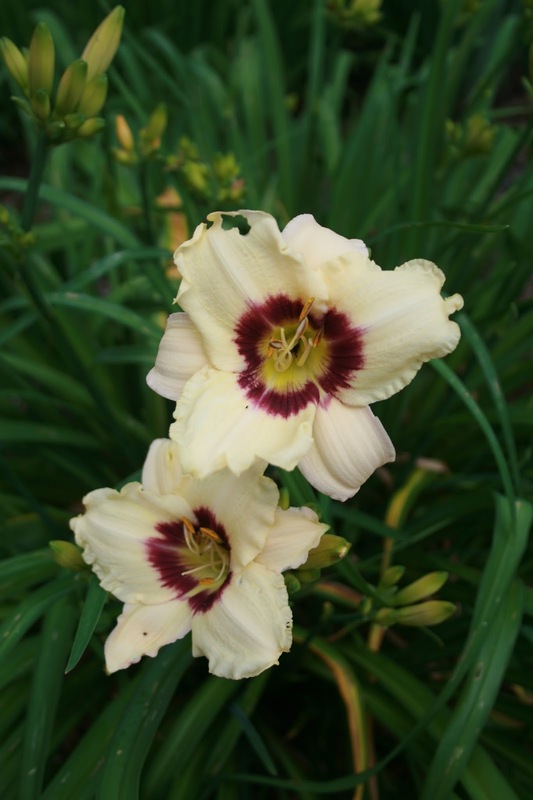 A cream colored daylily with a wine and yellow center. 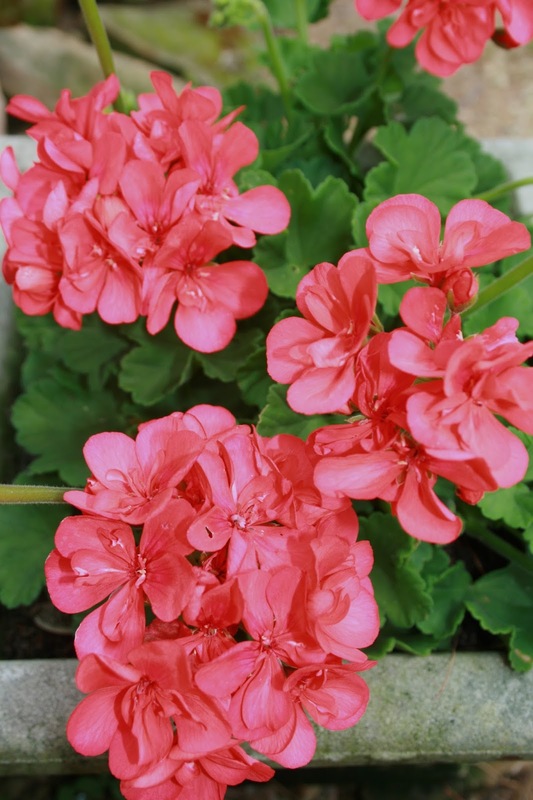 A coral geranium growing happily in a pot by my front porch. The purple coneflower are just starting to bloom. This is a darker pink, almost purple Astilbe than the one I showed you last week. A full view of my pond with the purple coneflower, Asiatic lilies, and cream daylily. And I do plant a few annuals in my garden, mostly right up against the house. I put impatiens along the North side of the home, and salvia, petunias, and straw flowers on the west side (I will show those in a later post). What a lovely peek into your garden! What a beautiful garden!!! I love all the colorful flowers you have chosen!!! 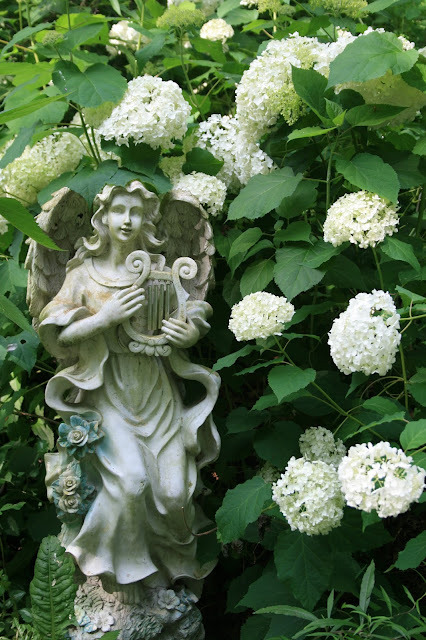 I would love for you to share your lovely garden at my link party DCIL. it starts tonight at 7 CST. Amy thanks so much for visiting the party!!! I hope you will join us again next Tuesday night:).